Download "Improving the Experience of Hospital Admission for People with Neurological Conditions: Summary of Survey Results and Recommendations"
2 Background Purpose of the survey The survey was conceived of by NCPC s Neurological Conditions Group, which includes representatives from the four charities who led on the survey, as well as clinicians working in the field and people using the services. The group wanted to find out more about the experiences of people with MS, Parkinson s and MND during their stay in hospital and use this information to inform the group s future priorities and work. The survey was hosted by the MS Society and disseminated to their membership and that of the Parkinson's UK. Responses to this survey cover England only. A selection of the questions were added to a separate national survey the MND Association were carrying out, which went to people in England, N. Ireland and Wales. Format of the survey Participants were asked to describe the experience their last admission to hospital. This could have been an accident and emergency or planned admission, or an admission brought on by the participant s neurological condition or for another reason. Questions included: whether the participant thought the admission was appropriate the participant s experience of the hospital during their stay including: how staff handled their medicine and equipment whether their symptoms were assessed and discussed with them by staff whether they felt listened to and their carers supported whether staff asked whether they had a care plan in place whether the participant was visited by a specialist nurse or neurologist during their stay and whether their previous medical notes were available to hospital staff the participant s experience upon being discharged Response rate 90 people from Parkinson's UK responded to the survey, and the MS Society received 186 responses. A total of 170 people responded to the selection of questions included in the MNDA survey. 3 Key findings Most people reported that their admission to hospital was either fair (28%) or poor (27%, n=182). There were also several areas of concern around lack of communication and dignity which need further attention. Responses to the sections of the survey where participants were able to describe the experiences in a free-form manner (which applied to the Parkinson s and MS versions of the survey only) were particularly revealing, and so several extracts have been included for illustrative purposes. I took a care plan, supplied by the MND association with me to hospital to enable staff to see my needs. The only person to look at this was the one who admitted me. Communication about advance care plans and ADRTs Perhaps the most striking result was that a significant amount people with neurological conditions entering hospital were not asked whether they had an advance care plan or advance decision to refuse treatment in place. This accounted for 80% of people with multiple sclerosis (n=106), 68% of those with Parkinson s disease (n=85) and 51% of those with motor neurone disease (n=170). Communication with the individual and across teams 25% of respondents felt rarely listened to or not at all by staff during the admission (n=190) No one took into consideration my pre existing condition 40.5% felt there was not liaison between their neurology consultant and ward staff during the admission (n=190). It should be noted that this is in the context of 59.7% of all responses being related to something other than the person s neurological condition (n=221). Nonetheless, it was separately reported in the free-form section of the survey that that communication between specialist teams and ward staff was often lacking and this had a detrimental effect of that person s experience of hospital. Although the sample sizes are small, there seems to be a link between people not being asked whether they have an advance care plans/ ADRT and not seeing their neurological specialist. In the MND survey, of the 18 respondents who reported being asked if they had a care plan, 10 had seen a member of the MND team. This compared to only 13 of 86 respondents who were not asked about their plans. The fact that I had MS was not passed on from one team of nurses, junior doctors etc to another which was concerning. They focused on my gall bladder surgery and didn t really pay any attention to the fact that I had a neurological condition and how this might be affected by surgery, a possible infection, heat, etc. 4 Dignity and approach of professionals In the Parkinson s and MS versions of the survey, respondents were asked what was done well during their stay in hospital and what could have been improved. Analysis of the free-form comments revealed that people experienced: A lack of a person-centred approach (n=58) Poor understanding of the condition (n=52) Having to fight for regular medication or self-mediation (n=38) Poor communication between teams (n=33) Feeling of being neglected (n=28) Poor communication with individuals and their family/ friends (n=22) Long delays in being seen by specialists (n=15) Feeling more ill on discharge than on admission to hospital (n=14) No help after discharge (n=14) It would have been helpful to know that I was expected to self medicate before admission. This would have made everything less stressful as we were worrying about medication. This suggests that often it is the approach and manner of the professionals by the person with a neurological condition that can contribute to a positive experience of hospital, as well as the quality of the medical care they receive. Being treated with dignity and as an individual who matters is crucial across conditions at the end of life. Another major issue is the poor understanding of the conditions in question. For people with Parkinson s this mainly related to the right to self-medicate and receiving the Care plan was prepared and handed to staff, plus medication times. Both were ignored, leaving my husband vulnerable and his Parkinson's unstable. wrong medication or doses. In the case of the former, accurate timing and doses of medication are vital and in the latter, being able to self medicate, where appropriate, enables people with Parkinson s to get their medication on time, every time. People with MS also noted this issue in relation to disease modifying drugs, muscle relaxants and pain relief drugs. Many noted that they had to fight for their regular and prescribed level of medication. All of which may be of interest when considering symptom management in conjunction with palliative and end of life care. I felt that the vertigo should have been investigated since this led to my falls. It would have been better to be able to self-medicate. The staff did not understand the problems associated with Parkinson's. 5 Support for family and carers 63.2% of respondents felt family and carers had been involved in the discharge planning (n=190). Although 55.8% of respondents felt there had not been support for family and carers after discharge (n=106), 88.5% of all discharges were to the individual s home which suggests the problem may have been more connected with the poor level of communication between hospital and community services at point of discharge. Staff should take notice of carers as they know more about the patient than anyone. Analysis of the MND survey suggests that there is a link between seeing a member of the neurological team and getting support upon discharge. The sample group is small, but 43% of those who saw a MND team member thought their family/carers had been offered support, compared to only 21% of those who hadn t seen a MND team member. The doctor said my husband had a very nasty urine infection. I said I had told staff this 3 times and he said 'we can't take notice of other people'. I had been caring for 8 years and he had regular urine infections. Hospital staff should listen to carers. Readmission Across all responses, 13.2% of people were readmitted to hospital within 4 weeks with a problem relating to their original admission (25 out of 190). It is possible that discharge planning was poor for these people, but this cannot be concluded from the data alone. The understanding of the doctors that I should be discharged at the very earliest opportunity was appreciated. They understood that the ward staff could not look after me as well as I am looked after at home. 7 Checklist for the management of patients with an LTNC when admitted to a general hospital ward REMEMBER: Patients with LTNCs and their families or carers are often expert at managing the disease and medications. They live with the consequences of the management decisions that are made on their behalf, so always consider and respect their advice and wishes. Prior to admission consider the following: Is the admission necessary? - Is it appropriate, given the level of disability/prognosis? - Can the patient be managed as a day case or in the community? Plan the admission/coordinate with the team caring for the patient. On admission: Inform the neurological/rehabilitation/palliative care team caring for the patient. - Obtain old notes. Check medication and continue unless contraindicated (especially anti-epileptics and anti-parkinsonian medication). Check that the patient has been admitted with their equipment (hearing aids, communication aids, adapted wheelchair) and that staff are capable of using it. Check the patient s competence to make decisions regarding their care. Is there an advance directive (AD)? Review in hospital: Posture and spasticity management, especially with pain, infection, fractures. Neuro-physiotherapy review is often helpful. Pressure sores and management strategy to prevent these. Anticoagulation prophylaxis to prevent deep vein thrombosis. Bladder: is the patient continent? In retention? Bowels: is the patient incontinent/constipated? - especially with altered diet/opiates. Swallow: is this safe? Is the patient aspirating? Nutrition: is this adequate? Is the patient able to feed themselves? Respiratory capacity: - check and monitor vital capacity if compromised. Cognition: - beware of an acute deterioration with illness, medication. Depression: - triggered by hospitalisation/change in condition/pain. Pain: is important. In addition to the acute problem, pain may be due to a combination of: - neuropathic pain (which may respond to anti-epileptics and tricyclics) - spasticity - musculoskeletal pain pay careful attention to positioning. If considering a procedure, consider once again: Is this appropriate given the patient s underlying neurological condition and prognosis? Does the patient have the capacity to consent is there an AD? Respiratory function is there need for anaesthetic advice? Prior to discharge: Consider whether the arrangements at home are appropriate did they trigger the admission? Assess how the patient s discharge will affect the family and their ability to cope. Review and re-start the care package revise if necessary. Inform the team that usually cares for the patient in hospital, in the community, or at home. Arrange follow-up if necessary try to coordinate this if the patient has difficulty accessing hospital. 8 Acknowledgements This document was written by NCPC s policy team, with input from members of its Neurological Conditions Group, with particular thanks to Carolin Seitz and Lynne Brown (MS Society), Sue Smith (MNDA Association) and Anjuli Veall (Parkinson s UK). NCPC is very grateful to the partner charities for hosting the survey and to the respondent s for sharing their experiences. 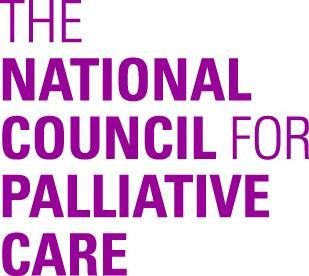 About the charities The National Council for Palliative Care (NCPC) is the umbrella charity for all those who are involved in providing, commissioning and using hospice, palliative and end of life care services in England, Wales & Northern Ireland. NCPC promotes the extension and improvement of hospice, palliative and end of life care services for all people with life-threatening and life-limiting conditions. It promotes palliative care in health and social care settings across all sectors to government, national and local policy makers. For more information visit or telephone (Registered charity no ). The Motor Neurone Disease Association wants to see a world free of motor neurone disease (MND). The charity s mission is to fund and promote research to bring about an end to this devastating disease. Until then, it will do all that it can to enable everyone with MND to receive the best care, to achieve the highest quality of life possible, and to die with dignity. The MND Association will also do all that it can to support the families and carers of people with MND. The MND Association is the only national charity in England, Wales and Northern Ireland dedicated to people with MND. (Registered charity no ). 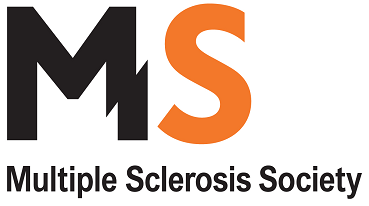 For more information visit or telephone The MS Society is the UK s largest charity dedicated to supporting everyone whose life is touched by MS. Multiple sclerosis (MS) is the most common disabling neurological disorder amongst young adults and estimates suggest that around 100,000 people in the UK have MS. The MS Society provides respite care, a freephone MS Helpline, grants for home adaptations and mobility aids, education and training, specialist MS nurses and a wide range of information. Local branches cater for people of all ages and interests and are run by people with direct experience of MS. The MS Society funds around 80 vital MS research projects in the UK. For more information visit or phone or freephone for the National MS Helpline. (Registered charity no in England and Wales and no. SC in Scotland). Parkinson's UK is working to find a cure and approve life for everyone affected by Parkinson s. The charity brings people with Parkinson s, their carers and families together via its network of local groups, website and free confidential helpline. Specialist nurses, supporters and staff provide information and training on every aspect of Parkinson s. As the UK s Parkinson s support and research charity, Parkinson s UK is leading the work to find a cure, as well as campaigning to change attitudes and demand better services. The charity s work is totally dependent on donations. For more information call Parkinson s UK free on (text relay on ), visit or (Registered charity no in England and Wales and no. SC in Scotland). Fatigue can be caused by Parkinson s, but it has other causes too. I d like to tell you a story. I d A like true to story. tell you It s a about story. me and something called Parkinson s.
HOW MANY PATIENTS SUFFER FROM POST-OPERATIVE SEPSIS? WHAT IS SEPSIS? Parkinsonism is an umbrella term used to cover a range of conditions. The MS Society Manifesto. I have a right to... a full life! what is an abortion where can I go for help? SAMPLE do my parents have to know?